We have one main room in our house aside from the kitchen, bedrooms and bathrooms which meets all of our family needs. Our school room is also the computer room, craft room, recreation room, game room and family room. This week's topic for the Homeschool Help Series is "What's New in Your School Room?" Since not much is new in our school room, I'll just describe our school room as it is. We have an enormous bookshelf which is completely filled. There is a shelf for current homeschool books and materials we use almost every day, homeschool curriculum type books I may use in the future, chapter books that we're not ready for, travel books, fiction picture books, non-fiction picture books, easy readers, fairy tales, library books and a shelf of books for each child to choose from when I read to him/her. Upstairs there are a few more bookshelves where I put books my oldest has read, but my other two are not yet ready to read. I have my own desk:) and we also have a table where the kids can work if they choose. It is usually used as a sewing table and my husband's desk. The kids prefer to do their work on the floor. The school room contains several musical instruments including keyboards, violins, and an African balafon. Some are used daily and others are rarely touched. There are two other large shelving pieces of furniture. One contains writing and craft supplies such as paper, colored pencils, stickers, stencils, fabric, yarn and craft books. The other contains toys games and puzzles. We keep paints, dough, glue and clay in the kitchen. We have a very tiny couch for reading together and in the middle of the floor we have a mini-trampoline. Tucked into a corner are some stilts and a few pieces of exercise equipment. The kids know where everything is and I try to keep items I want to encourage them to use on lower shelves such as paper, pencils and books. When ever I move things around they always rediscover new books and toys they haven't played with for a while. When I first had kids I kept all the kids stuff in the basement, but quickly realized it was better for me to have their toys closer to the kitchen and family room. Our house is full of kids stuff. There is no doubt kids live here. Their projects are everywhere and sometimes it does get a little cluttered, but then we clean and magically find more space. Our one big room gets used for everything. 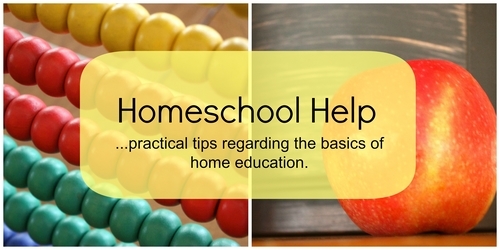 How is your schoolroom organized? An African balafon...how interesting. Yes, having the kids toys anywhere but where you spend the most time is a complete waste of time. I love the idea of the mini-trampoline in the middle of the room! I also like the idea of a shelf each for them to choose what you read aloud, I'm going to think how I can include that. It's fascinating to see how everyone makes the most of their space. I can just imagine the injuries I'd get from a mini-trampoline. We've been lucky enough not to have injuries yet and it's gotten a ton of use. Every time the kids walk past they bounce a little and get out some energy. I picked it up at a pre-Christmas sale in the Hanger on the Air Force Base. We watched a few tutorials on youtube over and over again until we could repeat the patterns. It looks really cool and we learned a few patterns, but none of the kids got hooked, so now it's a decoration.